In The Two Towers film, how did Faramir's group cross over to West Osgiliath? In the film The Lord of the Rings: The Two Towers, Faramir and his group of Rangers (with the captive Frodo, Sam and Gollum in tow) witness smoke rising from Osgiliath, which is under attack by Sauron's army. They are clearly on the eastern bank of the Anduin River since Minas Tirith (located west of Osgiliath) is visible on the horizon. have taken the eastern shore. Their numbers are too many. The tone of the conversation suggests that the group did not physically battle the enemy troops during their crossing of the River. In a later scene (Extended Edition) Faramir shows the Hobbits (for the first time) the old sewers running under the river, with which to return to the east bank en route to Mordor. In view of the above, how did the group initially cross the Anduin into West Osgiliath without using the sewers AND without battling an overwhelmingly large enemy force on the eastern bank? When first we meet the rangers, we learn too that they make the crossing from Minas Tirith routinely, but Mablung and Damrod would not disclose where (this being military secret, it makes sense). 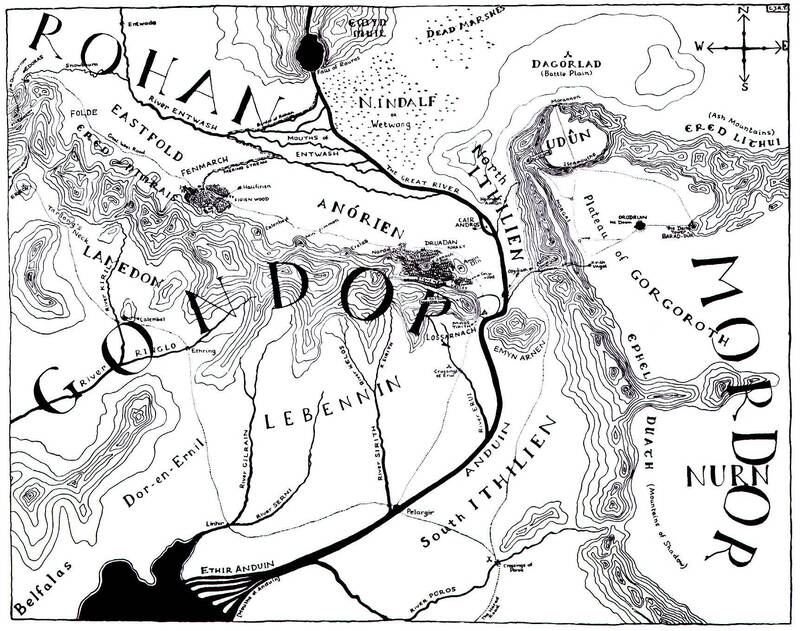 From Faramir's description, it would appear that the normal way for the rangers to cross the Anduin into Ithilien and back was by boat, by way of Cair Andros. How can Galadriel go into the West? In the film The Two Towers, why was Éomer so hostile towards Aragorn, Legolas and especially Gimli when they first met? Are the events at the end of the Two Towers film consistent with the film's internal plot? Does Aragorn have a lapse in judgment or is there another explanation? What is the bird-like creature on the Two Towers J.R.R. cover? Why was the breaking of the wall of Helm's Deep so important in “The Two Towers” movie? In this scene of LOTR: The Two Towers, what business did these Elves have at the Black Gate?